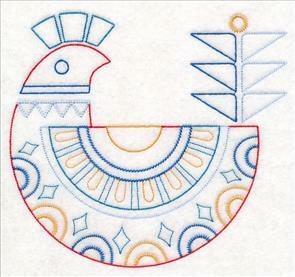 Everything old is new again! 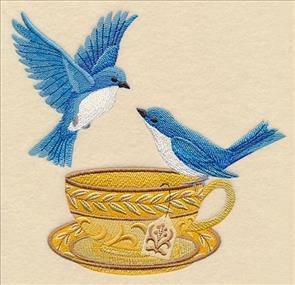 This week's new Shabby Chic designs put a whimsical spin on classic embroidery motifs: birds and butterflies, teacups and lace, and more. 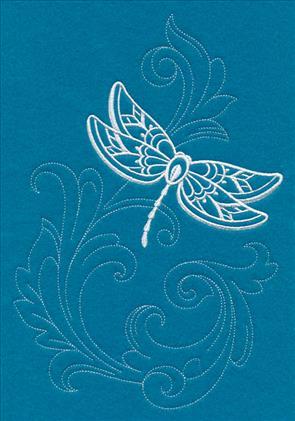 Browse this page and fall in love with these romantic new designs -- from beautifully colored roses in a variety of styles, to elegant and dainty one-color filigree designs, to a bicycle carrying a fresh springtime bouquet, to a magically detailed carousel horse. 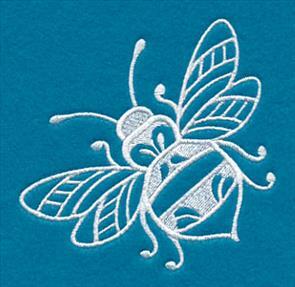 on a cozy throw pillow! 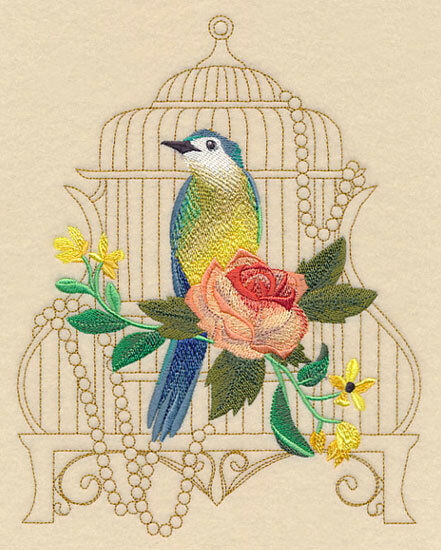 A light-stitching birdcage frames a vibrant bird and rose in this classically charming design. 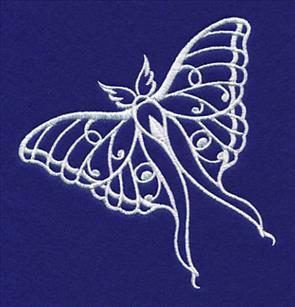 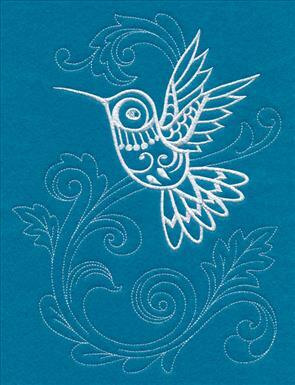 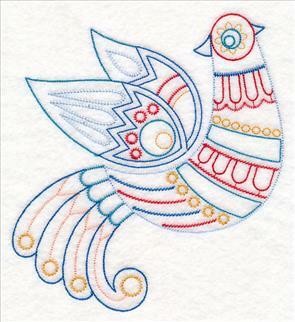 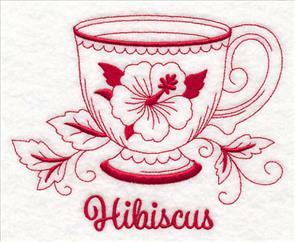 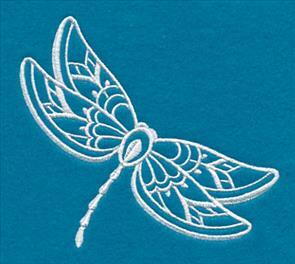 Amazing color and detail are sure to bring joy wherever you stitch this lovely embroidery! 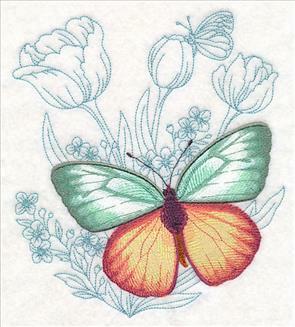 6.85" x 8.82" and 5.84" x 7.52" and 4.85" x 6.24"
Intense, shaded color brings these beautiful butterflies to life! 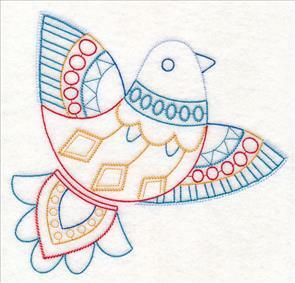 Let these designs fly onto bags, jackets, throw pillows, and more! 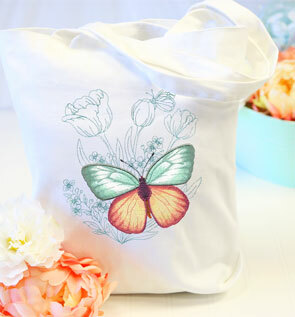 6.88" x 7.67" and 5.86" x 6.53" and 4.85" x 5.41"
on a cheerful tote bag! 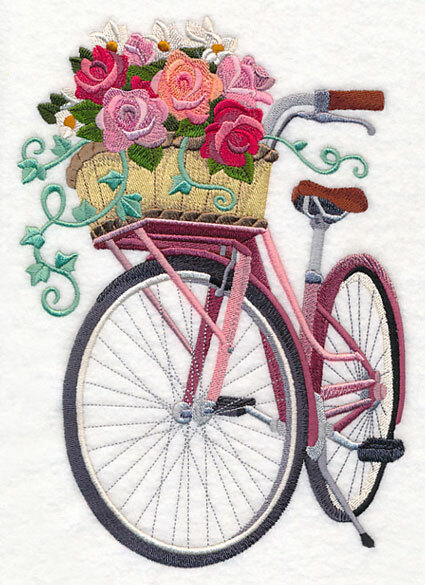 6.85" x 7.63" and 5.86" x 6.52" and 4.85" x 5.40"
Cruise into spring with this classic bicycle, complete with an overflowing basket of flowers! 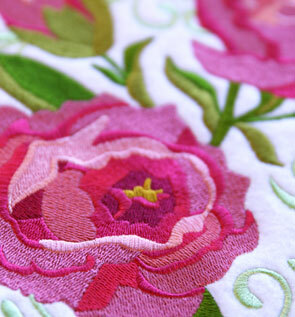 Bold blooms and curling vines make this a playful favorite on pillows and more. 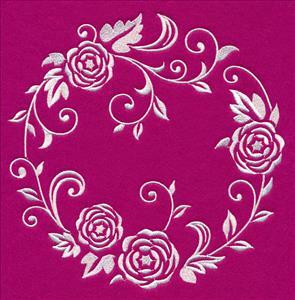 Backed by a diamond-shaped arrangement of leaves and foliage, this wallpaper-inspired peony design looks amazing stitched just once, or repeated over and over! 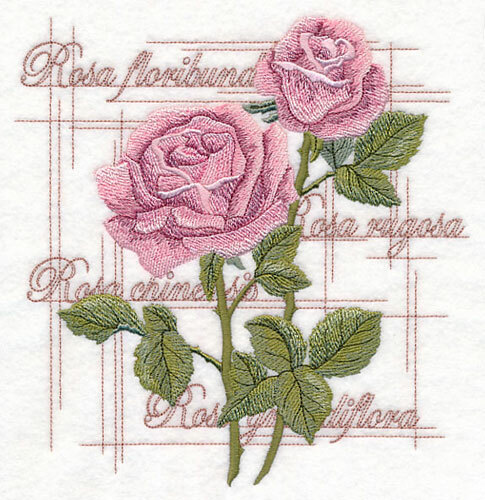 6.86" x 9.63" and 5.56" x 7.80" and 4.86" x 6.82"
Artful shading makes these roses so realistic, you can almost pick them! 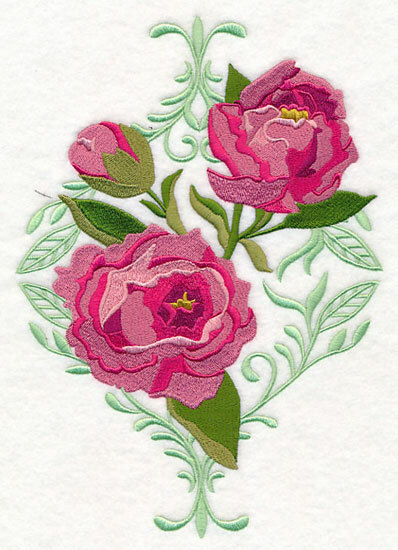 Backed by the Latin names of several rose varieties, these blooms will look amazing on pillows and totes. 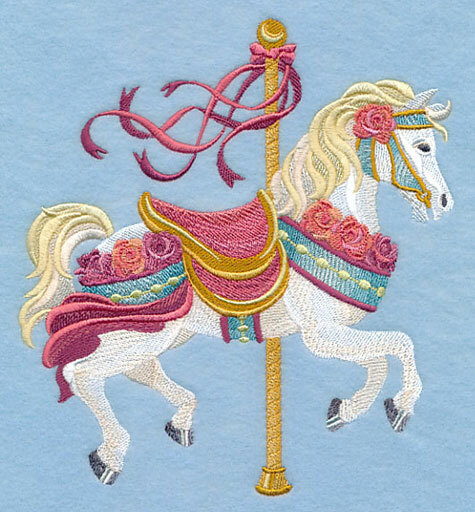 7.58" x 7.80" and 6.90" x 7.10" and 5.85" x 6.02" and 4.85" x 5.00"
Pink ribbons flutter in the breeze as this rose-adorned horse makes its way around the carousel! 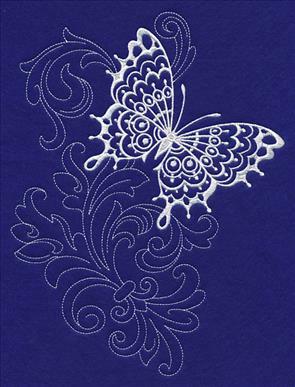 Let this incredibly detailed design dazzle on throw pillows and wall hangings. 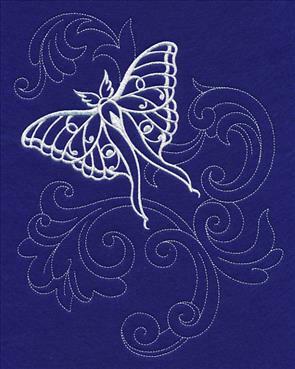 6.86" x 7.45" and 5.86" x 6.36" and 4.86" x 5.27"
Simple, stylish, and so versatile! 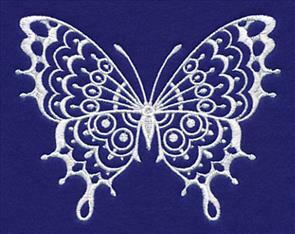 One-color butterflies, birds, dragonflies, and more will soar onto a wide variety of projects ... and into your heart. 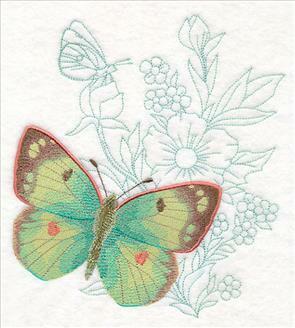 Stitch just one, or mix and match! 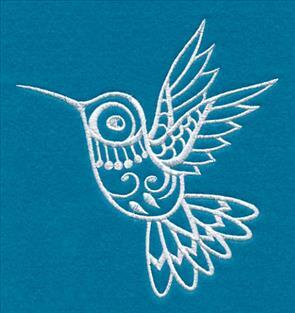 4.88" x 3.79" and 3.90" x 3.05"
4.85" x 4.16" and 3.43" x 2.95"
5.13" x 4.77" and 3.63" x 3.38"
4.01" x 3.91" and 2.84" x 2.77"
4.61" x 4.83" and 3.27" x 3.43"
4.87" x 5.17" and 3.64" x 3.86"
These sweet and soaring designs are best in a flock. 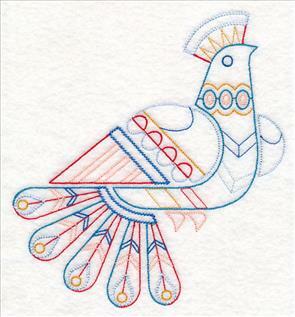 Get them all now in a design pack -- regularly priced for $19.97. 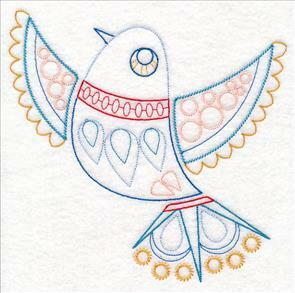 Classic icons spring to life in these quick-stitching and gorgeous new designs! 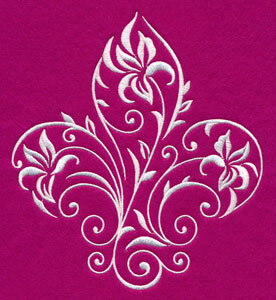 A wreath, fleur-de-lis, and heart emerge from scattered blooms. 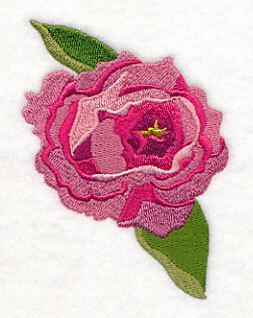 Stunning in any color you please! 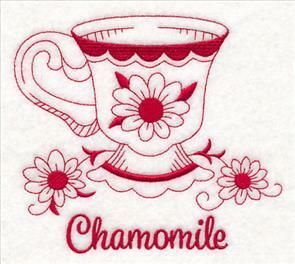 7.17" x 7.81" and 6.60" x 7.19"
5.52" x 6.01" and 4.87" x 5.31"
7.82" x 7.25" and 6.97" x 6.46" and 6.06" x 5.62" and 5.24" x 4.86"and 3.88" x 3.59"
Rich, dimensional stitching makes these golden teacups shine! 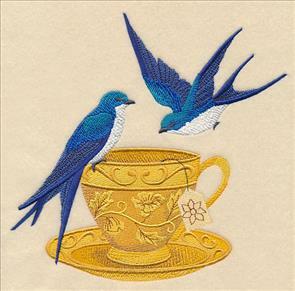 Detailed bluebirds and swallows flit around the ornate cups. 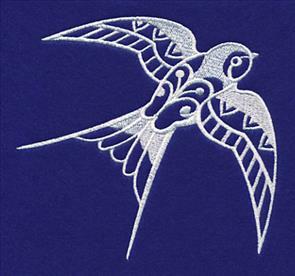 Perch these designs on wall hangings and more. 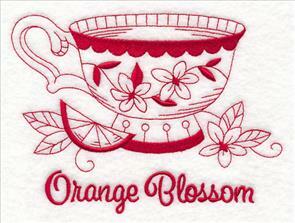 7.80" x 7.44" and 7.23" x 6.90"
7.80" x 7.52" and 7.15" x 6.90"
6.08" x 5.86" and 5.04" x 4.86"
A cup of tea for every taste! 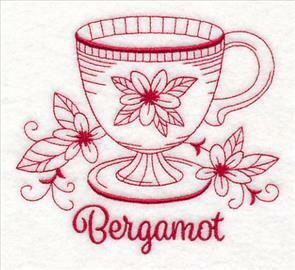 Classic redwork with bold pops of solid stitching will look delicious on tea towels and flour sack towels. 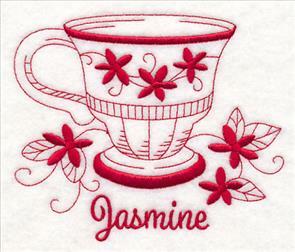 Makes a marvelous gift for your favorite tea lover! 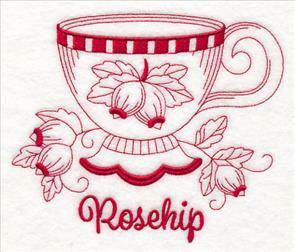 5.31" x 4.86" and 3.86" x 3.53"
5.48" x 4.86" and 3.85" x 3.42"
Stitch a charming tea towel for each day of the week. 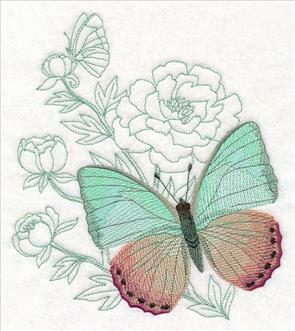 Get them all now in a design pack -- regularly priced for $10.97. 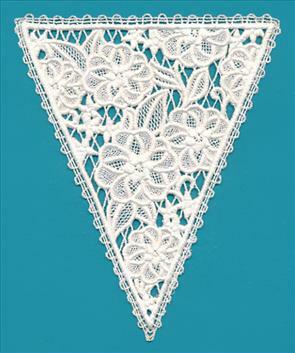 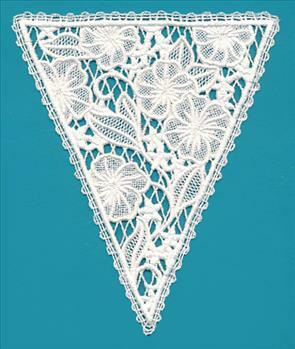 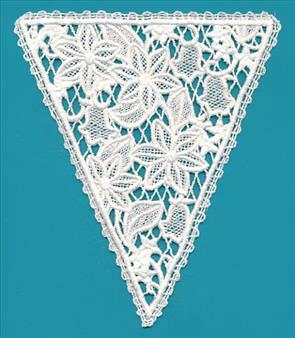 Dress up parties, weddings, or just your everyday decor with this sweet trio of freestanding lace bunting designs! 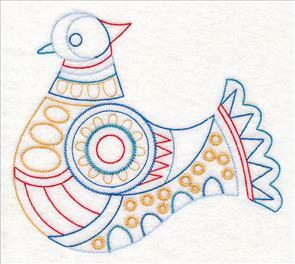 Stitch each triangle in cotton thread onto water-soluble stabilizer, rinse, dry, and string together on cord or ribbon to make a light and carefree decoration. 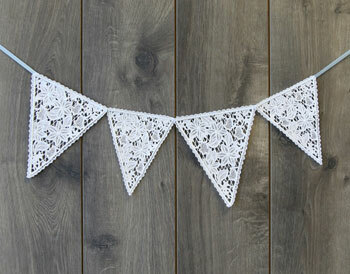 Check out the lace bunting tutorial for step-by-step- instructions! 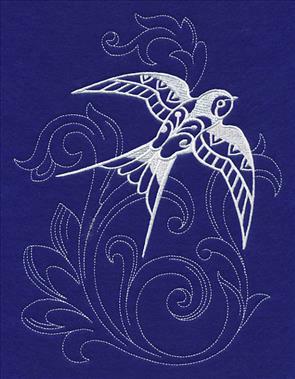 5.85" x 7.11" and 4.84" x 5.89"
Karen loved the original Scandinavian Winter Birds but wanted a lighter-stitching version for table linens. 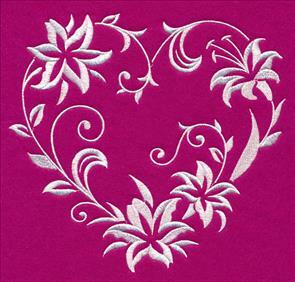 We're happy to provide! 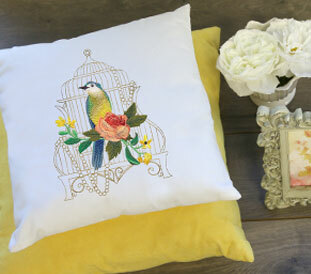 Stitch just one, or a whole flock, to create home decor that's both classic and fresh. 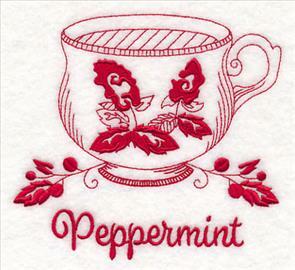 7.20" x 7.84" and 6.65" x 7.26"
5.85" x 6.39" and 4.87" x 5.31"
6.91" x 7.80" and 6.06" x 6.85"
5.51" x 6.23" and 4.87" x 5.50"
7.81" x 7.52" and 7.13" x 6.87"
6.09" x 5.87" and 5.07" x 4.89"
7.81" x 7.14" and 7.01" x 6.40"
6.42" x 5.87" and 5.33" x 4.86"
7.81" x 7.37" and 7.31" x 6.90"
6.20" x 5.86" and 5.13" x 4.85"
7.81" x 6.85" and 7.27" x 6.38"
6.62" x 5.81" and 5.55" x 4.87"
These delightfully light-stitching birds are best together. 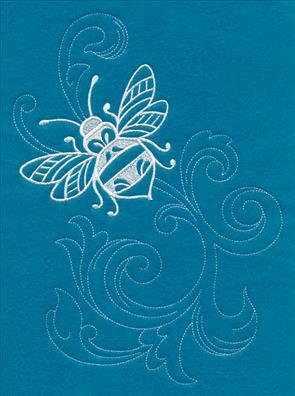 Get them all now in a design pack -- regularly priced for $9.97.